Many of us plan to eat healthier but sometimes “life” gets in the way. Do you pack the same old thing for your lunch? Do you run through a drive-thru just for the convenience? If this sounds like you, keep reading for tips to help you eat a healthier lunch. March is National Nutrition Month, which provides a great opportunity for us to make a few food changes. Do you want some smart shopping tips for veggies and fruits? Visit Choose MyPlate for tips to help you save money while shopping for veggies and fruit. What are some benefits of planning your lunch? 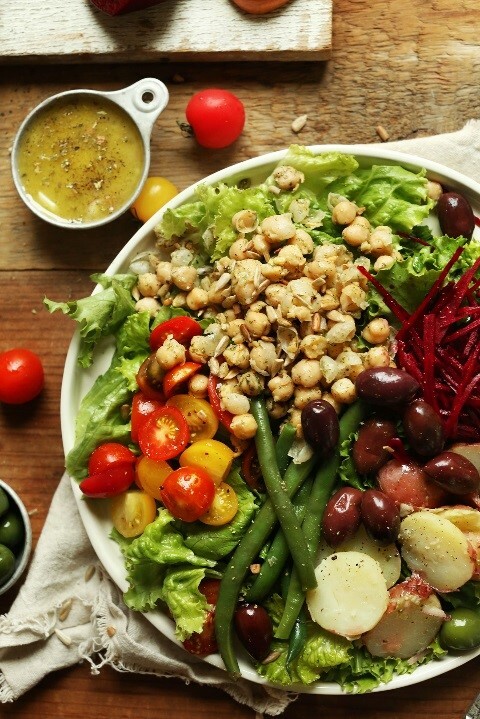 Are you ready to pack a healthier lunch? You can use this Food Prep Chart to plan lunch for five days. As you look over the food categories, check the food in your pantry, refrigerator and freezer. Circle your favorite foods in each of the categories that you want in your lunch. 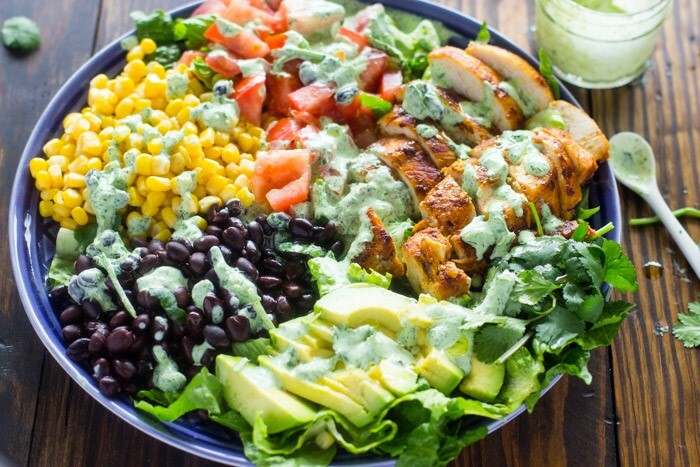 Step 1: Start with a base of lunch greens. Select a variety of greens including spring mix, spinach, cabbage, or lettuce. Remember the darker the green vegetable, the more nutrients it contains. Step 2: Pick your protein. Think about what you have on hand and what you want on your salad. You might add chicken, eggs, beans, tuna, or tofu. Step 3: Prep your veggies. Wash and chop a variety of colorful veggies to add to your salad. Look for fresh, frozen, canned, or ready-to-eat varieties. Step 4: Pick your grain. Consider adding a whole grain to your salad. Try quinoa, whole grain tortillas, whole grain crackers or croutons, or brown rice. Step 5: Add a fruit. Select fruits that are in season. Add berries for a luscious treat. 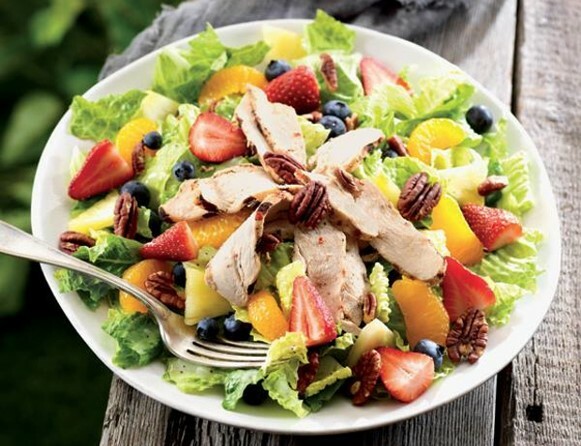 If you don’t like fruit on your salad, have your fruit on the side or as a snack later in the day. Southwest Salad: Base, Beans, Corn, Tortillas, Salsa & Spices. You may not even need dressing with the salsa. Add chicken and avocado if desired. Check out this South of the Border recipe. Seasonal Salad: Base, add apples in fall, green onions in spring, and roasted root veggies in winter. Vegetarian: Base, chickpeas, tofu, nuts or seeds. Learn how to roast chickpeas here. Remember that your mix-ins can add flavor, color, nutrients, and calories. Find the ones that work for you and add them to your lunch salad. What’s one way that you pack a healthier lunch? Share your ideas in the comments. Blog adapted from Food Prep 4 Lunch Webinar. Jones, T. and Treber, M. December 2018.